We first saw Twitter a month ago. And now they are . 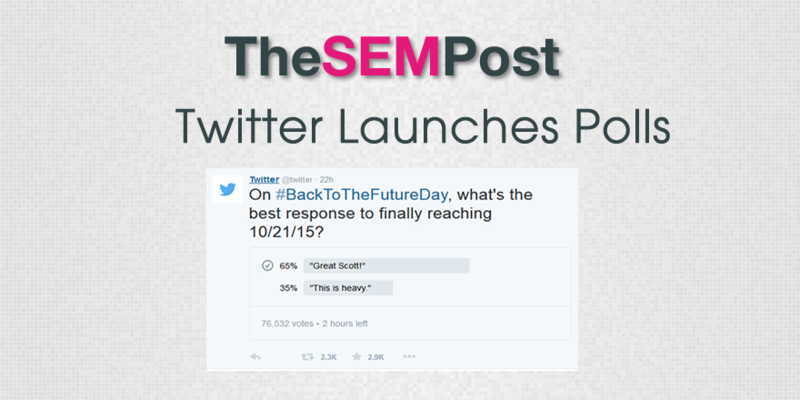 So be prepared to be bombarded with a time of useless twitter polls in the very near future. It is being rolled out within the next couple of days, and once it has been enabled on your account, you simply click on the hold button to create your own. It will appear beside the “Media” and “Location” icons and links underneath the box for creating a tweet. There are definitely some major flaws with how Twitter has implemented these polls which make them less attractive than previously thought. if you want to give your followers anything more than two options, you are out of luck. Unbelievably, you can only include two options in the polls. While some are hopeful this could be increased in the future, launching with only two options definitely limits the usefulness. You can only run your poll for a maximum of 24 hours. While this might be fine for those with thousands of followers, for smaller accounts it would make more sense to run a poll for a few days. So this particular limitation really hinders the value for smaller accounts. It does show how long is left to vote in the vote box. While users will see tweets on third-party platforms, the poll will not be visible, and they will not be able to vote unless they are using either twitter.com or they are using one of the official Twitter apps. 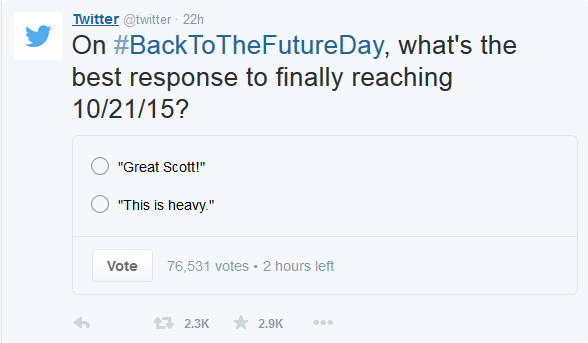 Also notable is the fact that Twitter’s own TweetDeck does not offer functionality for these polls. Users cannot see the results for these polls until they actually place a vote themselves. Will this result in fake vote simply from those who want to see the results? Possibly. 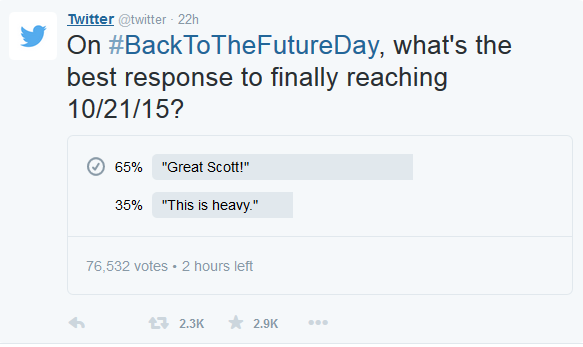 But then put Twitter polls are not really meant to be scientific or absolute. And no, no one can tell which way you voted in a poll. It is believed polls will be available internationally once they finish rolling it out.